Fedora 28 has been released, with three fresh variants of the Linux distro – Workstation, Server and Atomic Host – having emerged. 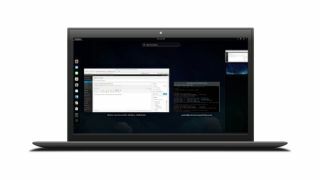 Fedora is the free community-supported version of Red Hat Enterprise Linux, and as you’d expect, Fedora 28 brings a raft of bug fixes across the board, not to mention a boost on the performance front. Fedora 28 Workstation, the desktop-targeted spin of the distro, is graced with a number of new tools for the average user and developers alike, with Gnome 3.28 now incorporated, giving improved organizational abilities in terms of marking favorite files, folders or contacts. And Usage is a fresh app which is included in order to better diagnose and solve performance issues. Gnome Photos is also now on board as the default photo management app, for a more streamlined image organization workflow. Thunderbolt 3 connectors are now supported, and the new power saving features should provide extended longevity for your notebook’s battery. There’s also more wide-ranging emoji support to boot. As for major new features with Fedora 28 Server, the main move is a new modular repository, designed to deliver software and updates with alternative versions other than those provided with the default release of the OS. Basically this means users can pick and choose what they want, and update specific elements at the speed they require. Fedora 28 Server has also gained support for 64-bit ARM as a primary architecture, expanding options on the hardware front. Finally, when it comes to Fedora 28 Atomic Host, the big introduction is the incorporation of Kubernetes 1.9, delivering fresh features for managing container-native workloads. You can grab all these flavors of Fedora 28 from the official website here.